It’s official: Seattle will be the first stop for Chinese President Xi Jinping in the United States when he makes his first state visit to the White House next week. 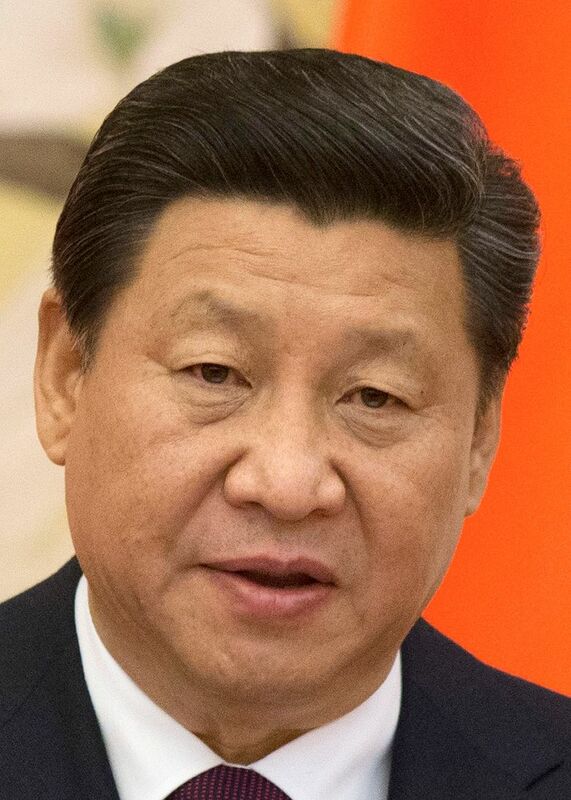 When Chinese President Xi Jinping comes to Seattle next week, he’s expected to meet with government officials, tech titans and business bigwigs. But also on his schedule: a meeting with students and faculty at Tacoma’s Lincoln High School. Xi first visited Tacoma a couple of decades ago when he was a provincial official in China, said Gary Locke, former Washington state governor and U.S. ambassador to China from 2011 to 2014. “It was proposed by the Chinese” that Xi revisit Tacoma on this trip, Locke said. Xi, whom some regard as the most powerful Chinese leader since Deng Xiaoping, will be in the Seattle area Tuesday through Thursday, Sept. 22-24. It will be Xi’s initial stop in the United States as he makes his first state visit to the White House on Sept. 25. Xi then will travel to New York City, attending summits from Sept. 26 to 28 to mark the 70th anniversary of the United Nations and deliver an address before the U.N. General Assembly. • A banquet Tuesday evening at the Westin Hotel in downtown Seattle, where Xi is expected to give his only policy speech of the trip. The banquet will also be attended by dignitaries including former Secretary of State Henry Kissinger. • Meetings with leaders of U.S. and Chinese tech companies that will be held at the Microsoft campus in Redmond as part of the annual U.S.-China Internet Industry Forum. Lu Wei, who oversees China’s Internet policies and cybersecurity, will be attending the forum, according to The New York Times, which first reported on the tech forum. Apple CEO Tim Cook plans to attend, according to the Times report, which also said CEOs from Baidu, Facebook, IBM, Google and Uber have been invited. Jack Ma, founder of Chinese e-commerce company Alibaba, confirmed his attendance, according to Bloomberg News. • A roundtable with CEOs from U.S. companies and an equal number of Chinese counterparts, across a broad range of industries including auto, aircraft, entertainment, tourism, chemicals, finance and technology. The executives are expected to talk about gaining greater access to each other’s markets and about their views on China’s economic-reform efforts, according to The Wall Street Journal, which first reported on the roundtable. The roundtable is organized by the Paulson Institute, a Chicago-based nonpartisan center, founded by former U.S. Treasury Secretary Henry Paulson, that focuses on sustainable economic growth in the U.S. and China. • A tour of Boeing’s Everett factory, its largest production site for commercial airplanes. The company delivered 155 airplanes to China last year. Boeing said that Chairman Jim McNerney, President and CEO Dennis Muilenburg and Commercial Airplanes President and CEO Ray Conner will be on hand to welcome Xi. • A meeting with several governors from other U.S. states. • A private gathering with members of the Chinese community on the West Coast. The visit by Xi and his wife, Peng Liyuan, to the Tacoma high school comes 21 years after Tacoma and Fuzhou, the capital of Fujian province on China’s southeastern coast, established a sister-city relationship. Back then, Xi was chairman of the standing committee of Fuzhou Municipal People’s Congress. “Since 1994, our cities have both benefited from a variety of educational, cultural and sports exchanges, and Tacoma has hosted at least 30 delegations from Fuzhou,” Marilyn Strickland, mayor of Tacoma, said in a news release. Several Lincoln High School teachers and Tacoma school-district administrators have visited Fuzhou, according to the city of Tacoma. The school is one of Tacoma’s most diverse, and more than 13 percent of students there have some Asian heritage, according to The News Tribune, which also reported that Xi last visited Tacoma in 1993. Locke, along with former Gov. Chris Gregoire, led a 30-person welcoming committee planning the visit, as well as a smaller host committee. The host committee includes high-profile local leaders such as Ray Conner, CEO of Boeing Commercial Airplanes; Satya Nadella, Microsoft CEO; Howard Schultz, Starbucks chairman and CEO; Ana Mari Cauce, interim president of the University of Washington; and Assunta Ng, founder and publisher of Seattle Chinese Post and Northwest Asian Weekly. The stop in Seattle, before Xi heads to the East Coast for a meeting with President Obama and a presentation before the U.N. General Assembly, could be a feel-good stop for both Xi and Washington state. China is the state’s top trading partner, with Boeing and Microsoft prominent among companies doing business with China. “Over the years, Washington companies have developed strong ties with China, and hundreds of millions of citizens use products from Boeing, Microsoft, Starbucks and other Washington companies on a daily basis,” Gov. Jay Inslee wrote in his invitation to Xi, according to a news release confirming the visit. Numerous partnerships have been formed between businesses, universities and cities in China and Washington state. This year, the University of Washington and Tsinghua University of Beijing announced a partnership to run a graduate institute in Bellevue, focusing on technology and innovation — the first time a Chinese research university has established a physical presence in the United States. The Seattle area has played host to several Chinese leaders over the years, from Deng Xiaoping in 1979 to Jiang Zemin in 1993 and Hu Jintao in 2006. The visit from Xi again highlights the importance of the state to China. For Xi, who has rapidly consolidated power in China but now faces questions about his management of a slowing economy, a visit to Seattle will probably be a gentler welcome to the United States than he’s likely to receive later next week in D.C., where he’ll face a list of contentious issues — from economic tensions, to his country’s increasing military assertiveness in the South China Sea, to alleged cyberattacks by Chinese hackers.